I read this article and found it very interesting, thought it might be something for you. The article is called Delhi Hurricane: 3 Reasons Why BJP Lost & AAP Won and is located at https://archive.indiaspend.com/the-road-to-delhi-elections-2015/delhi-hurricane-3-reasons-why-bjp-lost-aap-won-85254. So, finally, the juggernaut of Prime Minister Narendra Modi and Bharatiya Janata Party (BJP) president Amit Shah has been stopped by Arvind Kejriwal-led Aam Aadmi Party (AAP) in Delhi. AAP won 67 seats out of the 70-seat assembly and BJP could win only three seats. Congress, the party that had ruled Delhi for almost five decades, has been almost wiped out from the assembly. Had BJP decided to hold the Delhi assembly elections immediately after the Lok Sabha polls and other assembly elections (including Haryana and Maharashtra where they came to power), the story could have been different. 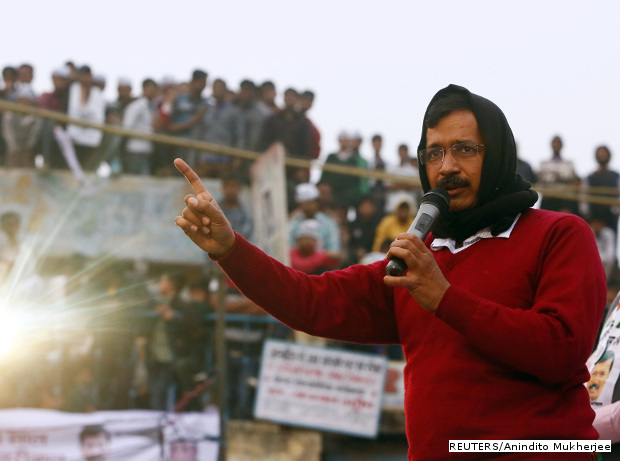 Why polls were delayed and how it worked for AAP is now history. After the announcement of the elections, BJP confidently decided to take on AAP and Kejriwal. By calling him naxalwadi (a left extremist) and bhagoda (runaway), BJP actually played into the hands of AAP. Kejriwal could turn around the game in AAP’s favour by projecting the party as the underdog fighting for the common man. The launching of Kiran Bedi as BJP’s chief ministerial candidate does not seem to have gone down well with the voters. Bedi, who was earlier associated with Anna Hazare’s movement, joined the BJP just before the campaigns began. And that may have worked against it. The point to remember here is that BJP has not actually lost any vote share (down only 1%). Paanch Saal Kejriwal worked magic for AAP. Kejriwal worked the underdog theory to perfection and ensured that AAP candidates swept all opposition across constituencies. Free drinking water, cheap electricity and more schools/colleges seem to have clicked with the Delhi voters. AAP initiated its Delhi Dialogue programme much ahead of the elections and listed out issues to be handled much in advance of other parties. AAP could be the latest entrant in Indian politics to win the electoral race based on enthusiastic volunteers. Dancing, skits and mohalla meetings did work the magic for AAP. So, Paach saal Kejriwal it is for Delhi. And the AAP government is not short of challenges to start work on immediately. Note: Copy updated to reflect the final results. A sentence stating Ms. Bedi’s past associations has been modified. BJP’s lot of positivity at the top, however no benefit so far either to a daily wage worker or to a HNI, against AAP’s promise of improving daily life with Power, Water, More colleges etc. His Charisma was tarnished by his silence on few controversial incidents like Valentine day, Ghar wapsi etc. If BJP works on above areas, it would not only be beneficial for the Nation, but BJP as well.